At the fourth gathering of provincial leaders in Montreal, Rachel Notley continued to demand Prime Minister Justin Trudeau finally take action to help Alberta. The Alberta NDP leader wants to get oil to tidewater and scrap legislation that would clog or delay further pipeline approval. The original agenda for the meetings didn’t include a discussion on the impact of struggling oil prices. Ottawa hurried to add them after Notley and Saskatchewan Premier Scott Moe demanded the Prime Minister put energy first. The meeting came just days after Notley’s widely heralded decision to cut Alberta oil production, which quickly closed the differential between Alberta bitumen and the global oil price. Alberta will reduce by 325,000 barrels per day for the first three months of 2019, then by 95,000 barrels per day for the rest of the year. The meeting came just days after Notley’s widely heralded decision to cut Alberta oil production, which quickly closed the differential between Alberta bitumen and the global oil price. Alberta’s energy woes follow decades of failure by federal governments to get pipelines to tidewater, including Justin Trudeau’s Liberals and a Conservative Party that included Jason Kenney as a senior cabinet minister. As an interim step, Alberta is pushing forward with the purchase of rail cars to help transport oil. 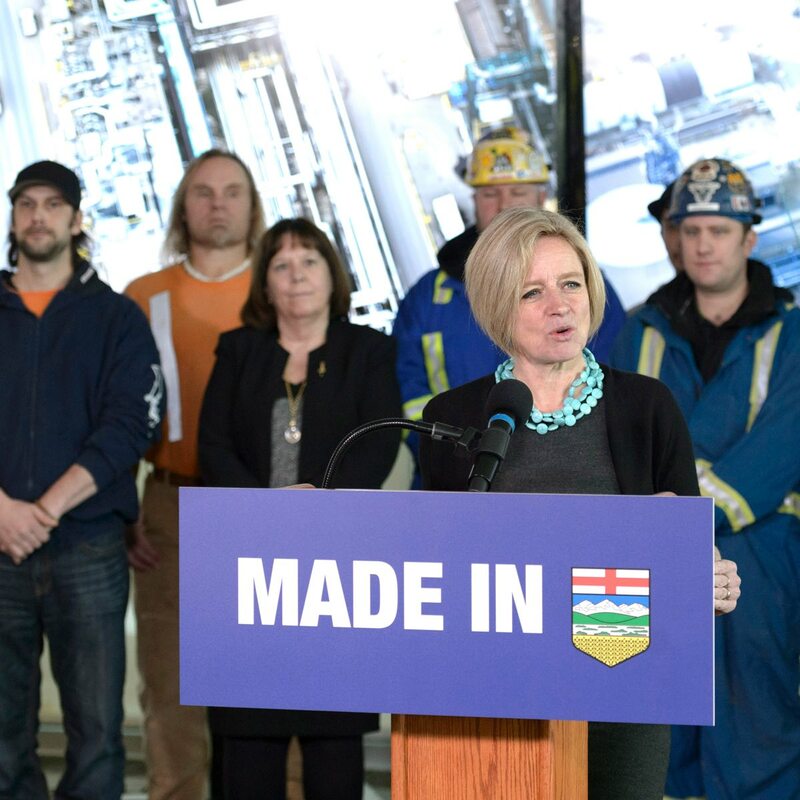 As part of the talks, Notley argued that Ottawa should scrap Bill C-69, legislation that would bring in a new Canadian Energy Regulator and potentially discourage investment in pipeline projects. She also demanded more supports for Alberta workers.